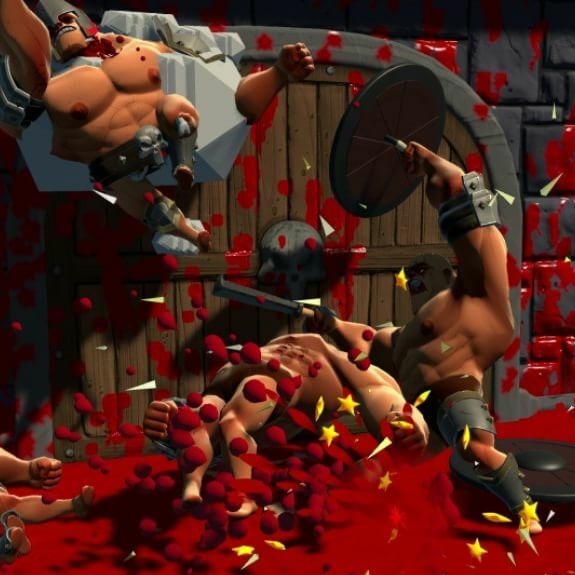 Up next in the countdown we have the worthy contender GORN; the self declared "ludicrously violent" gladiator simulator available on both the Steam and Oculus store. While it is somewhat blood and agression heavy, the stylised ignorant animation softens the blow (pardon the pun) of the game's brutality. For those of you familiar with Zombie Training Simulator and games of similar approaches to graphics that aren't centred around realism, you'll understand that the gore levels are never overwhelming but the games are still an endlessly entertaining source of stress relief; because nothing calms you down like smashing in the face of your virtual villians. Though I will admit I did have a bit of frustration figuring out how to manouveur myself around the game at first. However, once I'd got going and sourced my weapons I managed to let all that frustration out thanks to the mace, sword, axe, flail, spear and other treats I'll let you discover yourself. Despite it's simplicity in terms of aesthetic and gameplay GORN makes for highly addictive gaming. It's quite refreshing to not have to deal with the complexities of so many VR games we see that require full use of the controls and all the buttons. GORN lets you run on pure adrenalin with minimal interuption.